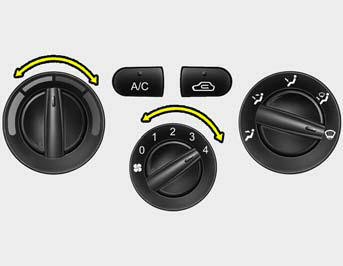 position (The A/C will automatically be turned on and "Fresh" mode will be activated.). o Set the temperature control to the desired position. o Set the temperature control to warm. control to the low position. position when the irritation has passed to keep fresh air in the vehicle. This will help keep the driver alert and comfortable. o Air for the heating/cooling system is drawn in through the grilles just ahead of the windshield. Care should be taken that these are not blocked by leaves, snow, ice or other obstructions. 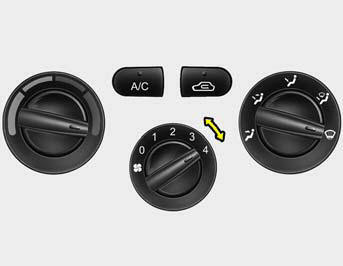 position, turn on the air conditioning system, and adjust temperature control to desired temperature.